I’d love TextExpander support too. It’s great in Drafts5. I love the TextExpander support in DayOne. Would love to see it in Agenda also. The TextExpander keyboard is not an option for me on iOS – too slow and clunky and breaks the workflow. Integrated support is the way to go. 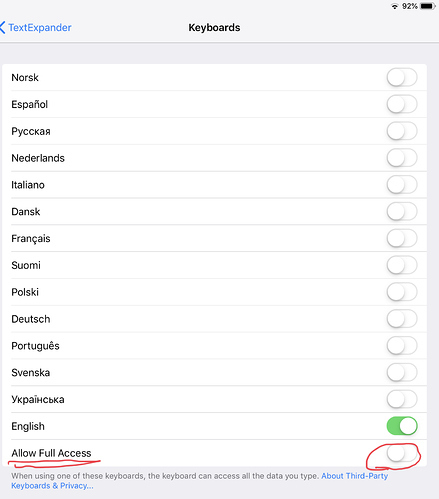 I have a couple questions regarding the highlighted sections of the attached screen grabs from iOS 12 Setting. the toggle option in the first grab. Is that something recently added with iOS 12, or has it been there in prior versions and I didn’t notice it? 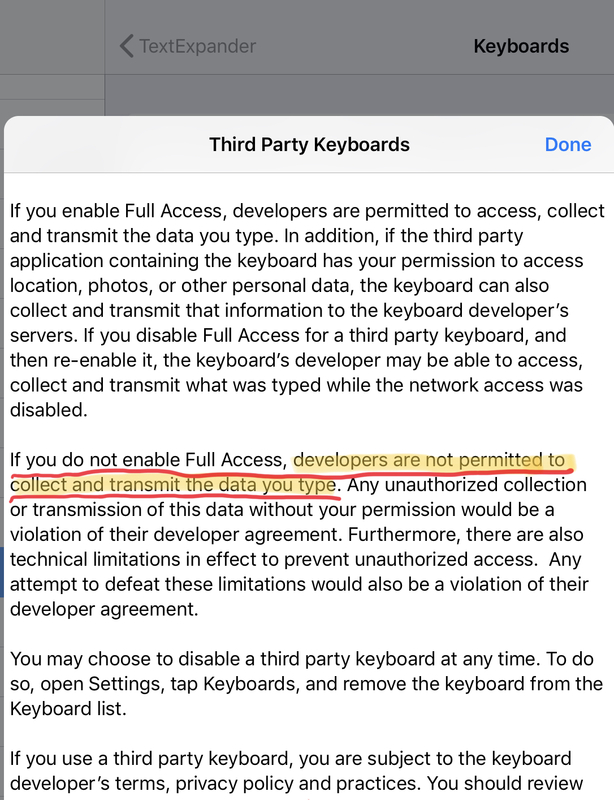 the highlighted text in the Privacy statement by Apple regarding #1. 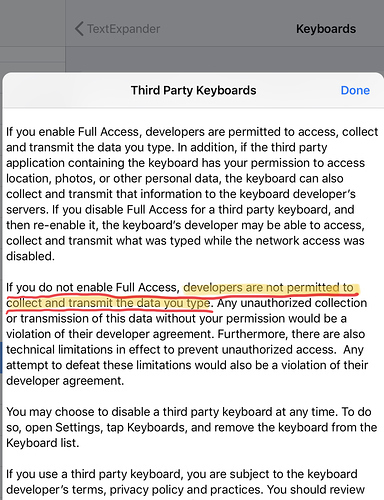 Regarding TextExpander, does the verbiage in 2nd screen grab mean that a Developer (TextExpander) IS PROHIBITED from capturing keystrokes IF the User has elected to turn ON the option in the 1st screen grab? I would also like to see TextExpander Support on the iOS app. Add me to the list of those hoping for TextExpander support on the IOS app. Same here: Native support of TextExpander would be appreciated very much! Another vote for TextExpander on iOS. 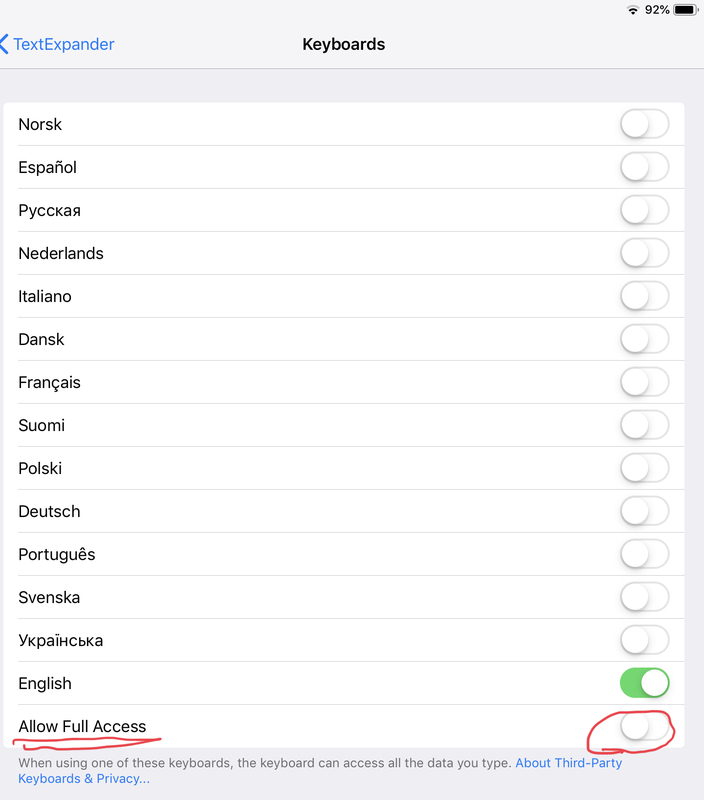 Another +1 for “full” TextExpander support in iOS. I have been playing around with Agenda since the day you launched. I have not yet found a compelling reason to purchase a subscription. There is enough there to continue playing with it, but not enough functionality to purchase. If you add TextExpander support, that will put me over the top and justify the purchase and incorporation into my workflow. +1 for TextExpander without using their awful keyboard—it doesn’t help anyone using an external keyboard! Barring full TE support, I’d settle for at least Agenda being a target for text shares using the iOS Share sheet so that I could type up something in say, Drafts, which supports TE and get it into Agenda for storage.